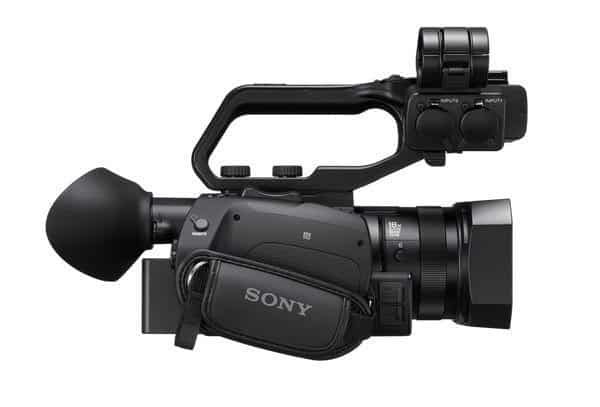 The Sony HXR-NX80 Full HD XDCAM is a modern camcorder with all the new modifications that technology has to offer. It is one of the few cameras with phase-detection Autofocus which uses a complex high-density placement of autofocus points to improve camera focus and subject tracking. The camera also has High Dynamic Range (HDR) capabilities that improve video quality leaving a very clear and sharp image. This HDR functionality is very effective in video shooting since it eliminates the need for colour grading in post-production of the video taken. The Sony camera comes with a preinstalled HD filter which increases exposure and controls depth-of-field. In the Slow and Quick motion setting, Sony HXR-NX80 can shoot HD video quality with frame rates of up to 120 frames per second. In today’s world of technological advancement, the Sony HXR-NX80 is very ideal as it takes up first position in quality video production and recording. The Sony HXR-NX80 can be used in various different settings including; events, education videos, corporate videos, documentaries and many more. The Sony HXR-NX80 has a small 3.5” touchscreen LCD monitor which does more than just display the camera’s view. The small screen is normally used in increasing focus and targeting the subject. 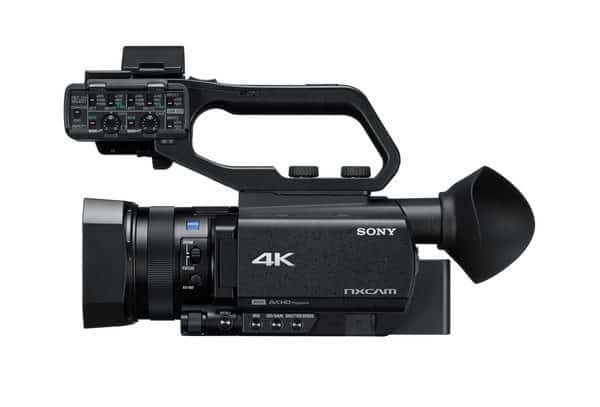 Sony HXR-NX80 Full HD XDCAM is built to record high quality videos specifically 4K in XAVC S 4K at 100mbps while streaming at a speed of 2.4 to 5Ghz. The Sony NX80 zoom of the high-accuracy lens is quite impressive holding a 12x Zeiss optical zoom. For the digital zoom, 18x 4K is the capacity with 24x if recording in plain HD. The camera comes with a 1” Exmor RS CMOS sensor with 14.2MP. The camera has two SD memory card slots where the footage is saved simultaneously. The Sony NX80 footage may also be saved in relay where one memory card saves the data while the other creates a backup. Audio slots include 2 three-pin XLR audio inputs that support mic and external microphones. If external microphones lack, the internal microphone of the camera can still be relied on when recording a scene. Unlike previous versions of the Sony camera, the Sony HXR-NX80 has been specifically improved and designed to achieve accuracy in autofocus. Now even faster than ever, the focusing and tracking capabilities of the Sony HXR-NX80 are very high and effective in recording quality videos. The Fast Hybrid Autofocus in Sony HXR-NX80 is aimed at making shooting objects in motion easier as well as increasing clarity in videos taken. When in movie recording mode, you can rely on phase detection Autofocus frames to pinpoint and hold your subject into focus. The Sony NX80 Autofocus (AF) is designed in such a way that it focuses solely on the targeted subject and is not hindered or disrupted by any objects that may be before the subject. The 3.5” touchscreen displays the camera’s view. Here, the photographer can use the displays on the screen to target and focus on the subject. Fast hybrid autofocus is focused mainly on time and how fast the lens will focus on a certain subject. The Sony HXR-NX80 is specially designed with the 4K HDR functionality. This technology is aimed at improving the nature of videos recorded and improving clarity as well. This functionality can help put aside the need to edit videos after shooting because of the rich quality they have. Today, the Sony NX80 4K HDR definition is probably the highest and most precise resolution that exists. While the usual 1080 pixels has around 1920 pixels across, 4K video quality has 4000 pixels across the screen. This means that in the same screen the 4K recording has more pixels which means more content and more clarity in videos and images. The Sony HXR-NX80 Full HD XDCAM is well equipped to produce the best quality of videos through 4K HDR recording. The Sony HXR-NX80, first of all, is a modern camcorder with most of its features modified and improved. For instance, during HD mode, you can get up to 960 fps which is very clear compared to other camcorders. This specific brand of Sony camcorder works best whilst recording workflow in different settings. 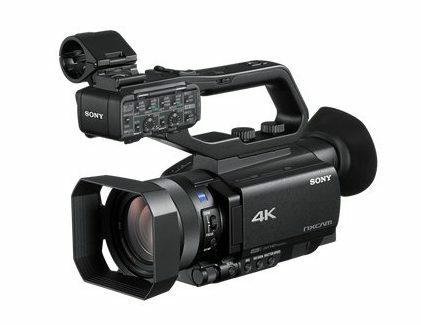 Unlike other camcorders the same price as the Sony HXR-NX80, it is not bulky and large to the point of annoyance. Sony have managed to squeeze all the great features and functionalities in a smaller size camcorder which seems to have it all. On top of this, the arrangement of buttons and switches on the Sony HXR-NX80 is very convenient. It is not likely to confuse you and is very easy to learn. The structure in general is firm and solid as opposed to other fragile brands. 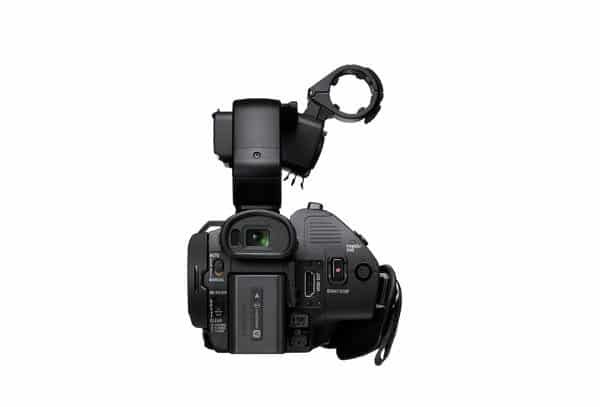 The Sony NX80 is the ideal camcorder for professional work and activities. Now with the introduction of new Sony CBM app, using your smartphone to enable prompt exchange live news contents to remote-side operator is made possible. Whether it is PXW-Z90 or HXR-NX80, both models work perfectly well with Sony MCX-500 ( 4 channel Switcher ) and RM-30BP ( Remote Controller ) in a Simple 4 x Cameras live event set up. It make life simple and yet produce broadcast-quality live events with tally light. The indicator around the Cameras LCD screen will indicate PGM in red while preview in Green.